Energy wonks and advocates of plans that reduce America&apos;s reliance on foreign oil are playing tug-of-war with natural gas. A cleaner energy source than oil and coal, its use for electrical generation has been on the rise. Now, some advocates are using compressed natural gas, or CNG, to power America’s cars and trucks. Others say it doesn&apos;t pencil out as a vehicle fuel. While most agree that the country must address the growing economic and environmental costs associated with fossil fuel imports, as energy plans are marched out, it’s increasingly clear that agreement on how to do it will not come easy. Dorn argues that restructuring the U.S. transport system to run on greenly generated electricity can be done now and is the most sensible option for the country on several fronts, including national security, energy efficiency, climate stabilization and economics. 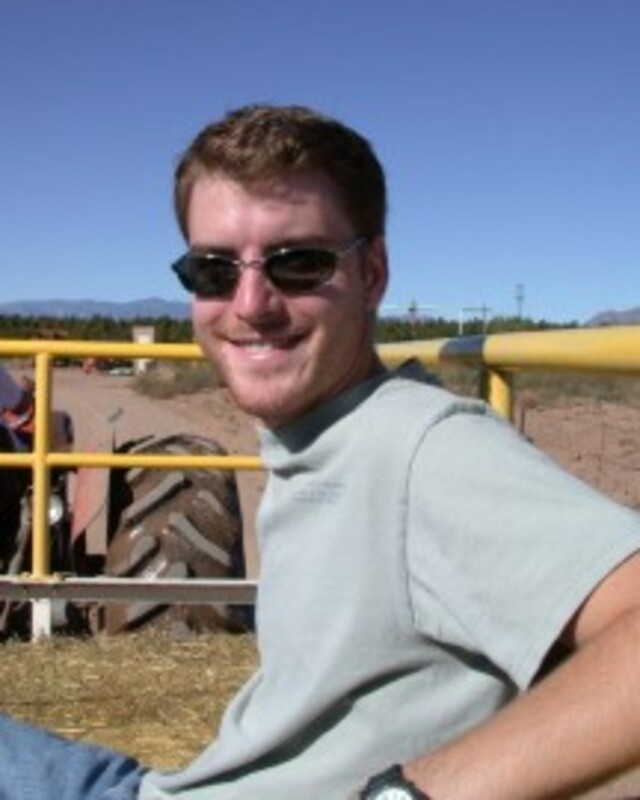 An EPI staff researcher, Dorn holds a bachelor&apos;s degree from the Georgia Institute of Technology, a master&apos;s in environmental policy from the University of Maryland and a doctorate in environmental science from the University of Arizona. He has served as an ORISE fellow in the HIV Branch of the Centers for Disease Control and Prevention and as an environmental fellow in the U.S. House of Representatives. Miller-McCune.com interviewed him by telephone. Miller-McCune.com: You assert in your paper that it doesn&apos;t make sense to restructure for natural gas use in vehicles because the supply will be problematic. Let&apos;s start with some numbers. Estimates you use as well as numbers from the U.S. Energy Information Administration suggest we&apos;ll be importing significantly more natural gas within less than a decade. When are we likely to be net importers? Jonathan Dorn: Today the U.S. has only about 3 percent of the world&apos;s proved natural gas reserves, yet we consume almost a quarter of the world’s natural gas. As far as conventional domestic production, it peaked more than a decade ago. Conventional supplies are in sharp decline. Everything we look to in the future will have to come from unconventional supplies or imports. Since the late 1980s, our net imports — primarily from Canada — have tripled. The U.S. Department of Energy projects that by 2016 the majority of U.S. natural gas imports will come from outside North America. So then we’re back to importing a fossil fuel for running our vehicle fleet. M-M: There seems to be a difference of opinion on this. Aubrey McClendon of Chesapeake Energy Corp., says there will be abundant domestic supplies into the future. Why the discrepancy? JD: The discrepancy that arises is in the terminology that&apos;s used in looking at the different reserves. If you look at proved reserves, you&apos;re looking at the reserves that are extractable using today&apos;s methods and economics. You don&apos;t want to look into the future and say we can spend all this money building a natural gas infrastructure and then not have the natural gas to support the vehicle fleet. Some of the numbers that McClendon and others are using are that we have 100 years of natural gas in the ground. But this is based on unconventional sources — in gas shales and tight sandstones mainly — and much of the natural gas in these sources is uneconomical or impossible to extract using today&apos;s technologies. There are also significant problems with methods used to tap these reserves. One of the main problems is that you have to use hydraulic fracturing of gas shales to get to the natural gas. You&apos;re injecting a high-pressure stream of water and chemicals underground. A good fraction of the water and chemicals is left in the ground, and these chemicals can seep into surrounding aquifers and cause drinking-water contamination. New York&apos;s Department of Environmental Protection has gone on record about drilling for natural gas in the Marcellus Shale formation in the Catskills, saying there&apos;s a threat of contamination to the main source of water for New York City. We&apos;ll probably be seeing more legal challenges in the future as gas companies attempt to use the hydraulic fracturing method to extract natural gas from environmentally sensitive areas. M-M: McClendon and Pickens appear certain that supplies of natural gas won&apos;t be a problem using these technologies. JD: They&apos;re businessmen, and they’re looking at the bottom dollar in profits. Pickens has stated in interviews that he&apos;s not an environmentalist — that he&apos;s in it for business and national security reasons. He says the environment and global warming are on "page two" of his plan. One of Pickens&apos; famous statements when asked why he got into wind was that he was tired of looking at oil depletion curves. He&apos;s totally arguing from an investment standpoint. If you look historically at our imports of oil, we haven&apos;t always imported 70 percent. We&apos;ve really become dependent on imports over time as our demand for oil shot past our capacity to meet our needs with domestic production. If we go with natural gas for cars, we&apos;re repeating history. M-M: And that&apos;s where national security questions come into play? JD: The primary concern is that under Pickens&apos; plan, we would become dependent on natural gas that&apos;s going to have to be imported. And this raises concerns about the possibility of a natural gas cartel. The countries with the largest proved natural gas reserves — Russia and Iran — are members of a natural gas forum that control nearly 75 percent of the world&apos;s natural gas reserves. If we go down the path of developing a natural gas vehicle fleet and the necessary refueling infrastructure, it&apos;s only a matter of time before we become dependent on natural gas from foreign countries. And since you can&apos;t just snap your fingers and change the automotive fleet overnight, we would essentially be locked into importing natural gas regardless of the price. Under such a scenario, I think there&apos;s a good chance of a cartel forming. 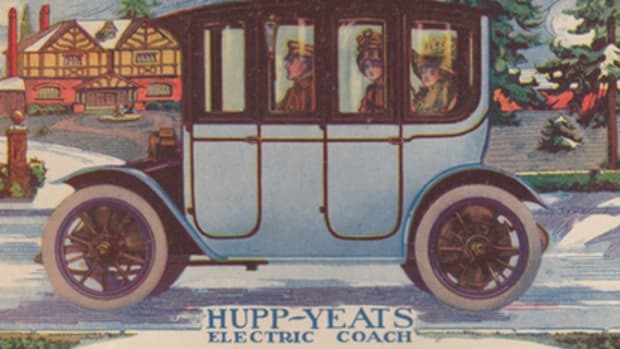 M-M: What are the economic benefits to use of electric cars? JD: The real economic benefit has to do with looking at what the consumer would have to pay to move the vehicle. The cost to charge an electric vehicle and drive it for 30 miles is 73 cents. The latest comparable price data (July 2008) shows the cost to travel roughly 30 miles on a gallon of gasoline was $3.91, and (it was) $2.51 for natural gas. Even though gasoline prices have dropped dramatically over the last few months, the decrease will be short-lived. Since oil is a finite, nonrenewable resource, as soon as the economy begins to recover, prices will once again spike. Gasoline prices exceeding $5 per gallon are not unlikely. M-M: How are you accounting for the cost of the electricity? JD: I performed the calculation by multiplying the current average electric price for U.S. households by the purported amount of electricity required to drive 30 miles in a Chevy Volt (an electric hybrid being developed by General Motors). I also considered the electrical losses during transmission of the electricity over the power grid and during the charging and discharging of the Volt&apos;s battery. M-M: In your paper, you discuss problems associated with taking natural gas out of the equation — in terms of electrical generation and efficiencies of use. Could you elaborate on that? JD: If we’re talking about the continued used of a nonreneweable resource, we should be maximizing the benefits of it. If you look at the efficiency of a combined-cycle power plant that&apos;s run on natural gas, you&apos;re actually using about 60 percent of the energy in the natural gas to do useful work. When natural gas is used to power an internal combustion engine, such as those in today&apos;s car fleet, you&apos;re only using about 20 percent of the energy in the fuel to move the vehicle. More than 80 percent is wasted as heat in the vehicle&apos;s exhaust. This type of inefficiency in an energy system is unacceptable. From both an efficiency and a climate change perspective, it makes more sense to use natural gas to create electricity to power plug-in electric cars than to burn the natural gas directly in a vehicle’s inefficient internal combustion engine. M-M: As you know, most of the hybrids being developed will be using gasoline to recharge the batteries after a certain number of miles. So we’re not getting away from fossil fuels entirely. Natural gas is clearly a cleaner-burning and more efficient fuel than gasoline, so isn’t there an argument for its use in some cases? JD: The majority of miles traveled in the United States are from individuals commuting to and from work. The plug-in hybrids slated to come to market over the next few years, such as the Chevy Volt, will have an all-electric range of around 40 miles. Since 78 percent of commuters have a round-trip commute of less than 40 miles, most driving could be done on electricity alone. Therefore, plug-in hybrids powered with renewable energy would have substantially lower carbon dioxide emissions than natural gas vehicles. 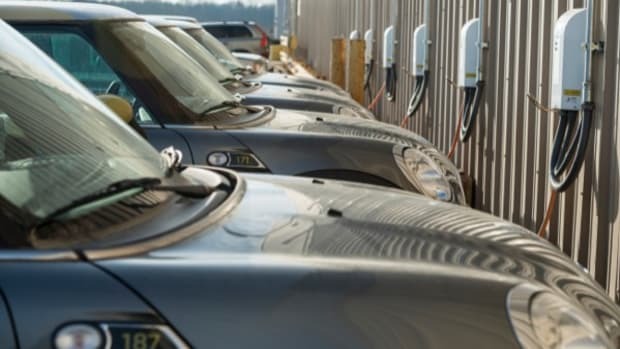 M-M: What do you say to people who don&apos;t want to wait for renewables to come online — as well as the electric power grid that will ensure more electricity is available for plug-in cars? JD: We don&apos;t have to wait for new energy such as wind or solar to make this happen. We can go ahead and build the cars — 73 percent of the entire fleet could be converted — and the power on the grid could power it. The peak electrical demand wouldn&apos;t increase since the batteries in the cars would be recharged at night. Converting 100 percent of our fleet to electric cars would only require 10 to 20 percent more electrical generating capacity than we have now. There is very little electrical demand at night. Power plants often ramp down at night. Instead, they could continue to operate and provide power for the plug-ins. M-M: It seems we&apos;d have to be looking at coal for that much more electrical supply. JD: A lot of people ask, &apos;Are we going to be burning more coal?&apos; The answer is yes at first. But even if we burned coal at night to power electric cars, it would still reduce carbon emissions by around 30 percent. Obviously the electric power companies love the idea. They&apos;re really behind it. We need to implement a smarter grid, one that uses digital technology so you can predict the power demand. With smart grid technology, you could look at a meter in your house and see what the cost of electricity is and how much electricity you are consuming. That way you could decide whether to run your washing machine or dryer then or later, when the cost is down. If you have millions of plug-in hybrids out there, collectively they could be used as a huge backup power supply. In times of shortages, the power in the car batteries could be sold back to the grid or used to power your home. M-M: President-elect Barack Obama has made development of renewable energy a main part of his economic plan. Assuming there is support in Congress for ratcheting up renewables&apos; share of electric generation and building a 21st-century electric grid, what sort of time frame are we looking at? JD: We feel that it&apos;s feasible to have a large part of this in place by 2020. It&apos;s not going to be easy. People will have to agree to give up some things. If you look at World War II, the car manufacturers were the largest manufacturers then, too, and President Roosevelt met with the leaders of those companies and told them they would have to retool to manufacture munitions. Clearly, they were surprised, but they did it. They didn&apos;t manufacture a (civilian) car from early 1942 through the end of 1944 — nearly three years. We&apos;re obviously not advocating a stop in building cars, but there will have to be government incentives and in some cases top-down regulations that mandate certain activities, such as the production of fuel-efficient vehicles like the Chevy Volt. M-M: So we need to bail out the auto companies? JD: Unfortunately we’ve gotten to the point where it’s a necessity. From a national security standpoint, we can’t let them die because if we get in a position where we need a strong manufacturing base, who will we turn to? However, this does not mean that we should write the car companies a blank check. Any assistance should be contingent on retooling to build highly fuel-efficient cars. M-M: Pickens has been talking lately about the potential to switch our truck fleet to CNG, saying electricity-powered engines aren&apos;t capable of powering large 18-wheelers. Others say that&apos;s not the case. Do you believe trucks could run on electricity in the near term? JD: One, he&apos;s changing his tune because people have started to point out how inefficient it is to power cars with natural gas and because he lost with Proposition 10. He&apos;s trying to come up with a new idea. The average person would tell you it&apos;s a nightmare to be on the road with these trucks. So why are we still thinking inside the box? We should be investing in electrifying and upgrading the freight rail system. Shifting long-haul freight from trucks to trains would greatly increase energy efficiency. You could have distribution points along the rail lines where short-haul hybrid trucks could pick up freight to make deliveries. In the short run, I guess you could use natural gas as opposed to gasoline to power short-haul hybrid trucks. Hybrid trucks are already out there. The motors are very powerful. It&apos;s all about where you’re going to get the electricity. There are no battery technologies that can deliver the power to an 18-wheeler, and so it’s the storage that’s the issue. M-M: James Mason, one of the authors of "A Solar Grand Plan" published in Scientific American (December 2007), believes that CNG could be used as a transition to cars powered by hydrogen fuel cells, in which case you could retrofit the delivery system of CNG to deliver compressed hydrogen. Have you considered this? JD: The problem with hydrogen is that today it is primarily produced from natural gas using a process called steam methane reforming. So you&apos;re using a nonrenewable resource. You can also get hydrogen through electrolysis — a fancy word for taking an electrode, placing it in water and using electricity to break the water molecule into hydrogen and oxygen. However, it is cheaper to break a natural gas molecule into carbon and hydrogen, and this is why it is the preferred method of hydrogen production. But, from an efficiency standpoint, every step that you go through, you&apos;re losing some of the energy. Why develop hydrogen? Why not use electricity directly? A lot of people will say it&apos;s because you can&apos;t go as many miles. In the near future, I think we&apos;ll develop batteries that will provide far more miles.